If there is anything that would serve as my pick me upper, it would definitely be desserts. Anyone's mood would surely lighten up with ice cream and sweets. Desserts nowadays have became quite complex with their artistic presentation and I think it adds up to the experience. 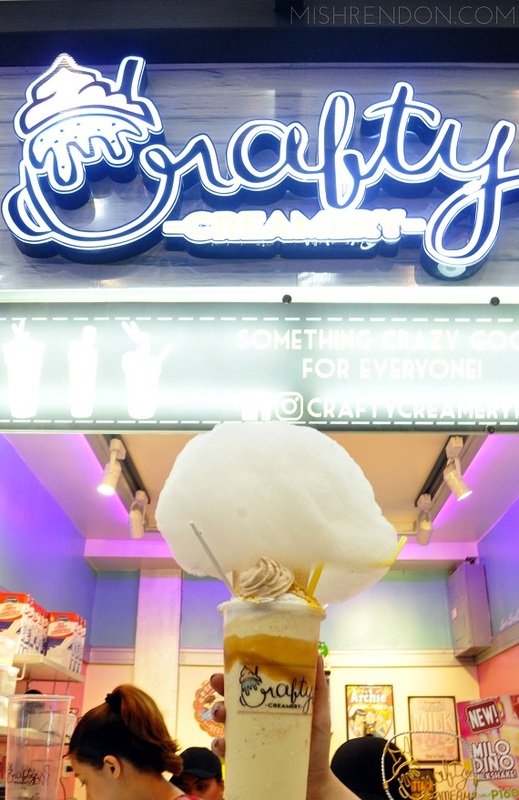 Recently, one dessert spot has truly made me go "wow" not only with how their humble stall is presented but also with their delectable milkshakes and desserts. 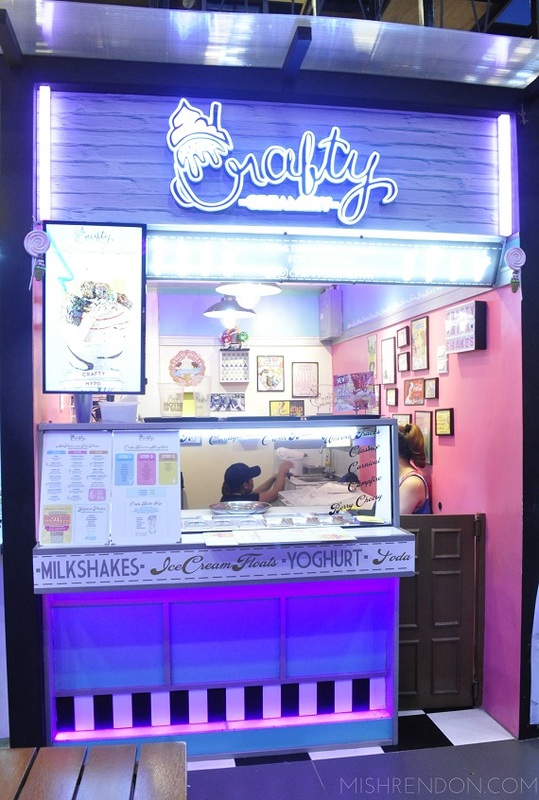 Crafty Creamery, a dessert place located at Devour Food Hub in Quezon City, is inspired by Pop Tate's Chock'lit Shoppe. Their small, yet unique stall is filled with candy colored signs and Archie and Friends artwork that would without a doubt remind you of Riverdale. 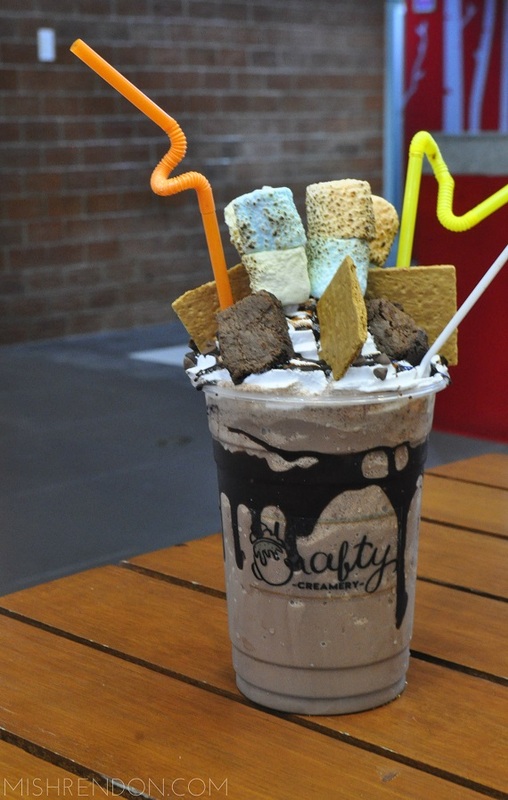 Likewise, they offer milkshakes, soda shakes, and other desserts that would satisfy your sugar cravings. The Mango Banggo was the first to hit our table. Just imagine my awe upon seeing this huge cup of dreamy dessert! 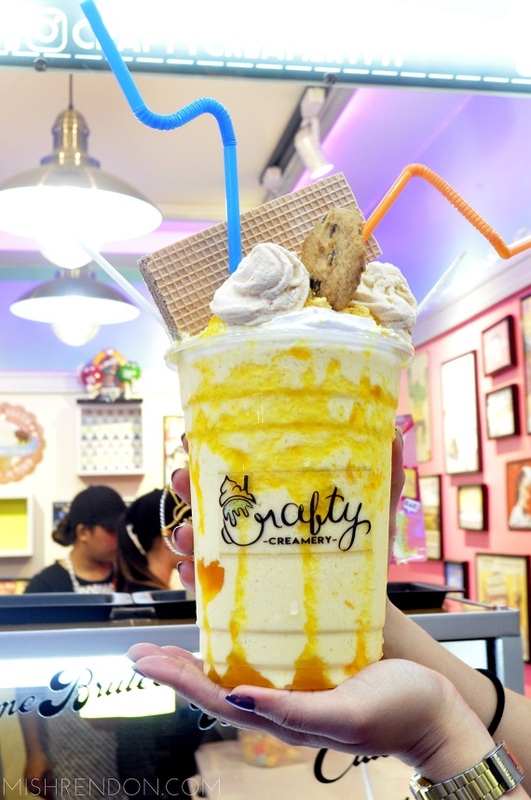 As its name suggest, this milkshake is loaded with mango ice cream, meringue, mango syrup, mango jam, roasted nuts, and butter biscuit. To those who love tropical fruits and desserts, this one is perfect for you! For a more healthy option, they likewise have Yoghurt Shakes for only P120. The Campfire would surely satisfy your cravings if you're a fan of smores (I mean, who isn't?). This one's filled with chocolate ice cream, toasted marshmallows, graham, brownies, chocolate syrup, and chocolate chips. Both the Mango Banggo and Campfire were upgraded to 1 liter cups for an additional P70. That way, you can enjoy your milkshakes with triple the toppings. Believe me, it is worth it! 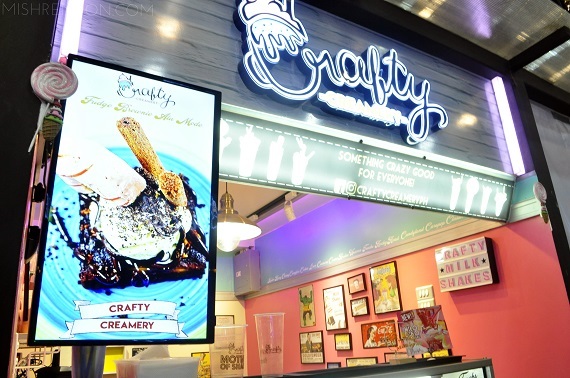 If there is anything that you should try at Crafty Creamery, it would definitely by the Creme Brulee! It was hands down everyone's favorite. It is comprised of cheesecake ice cream, meringue caramel, cookies, wafer, and cotton candy. It was simply heavenly! The cotton candy on top melts quite quickly so you might need to finish this milkshake in an instant. But with something so good, there's no problem doing just that. 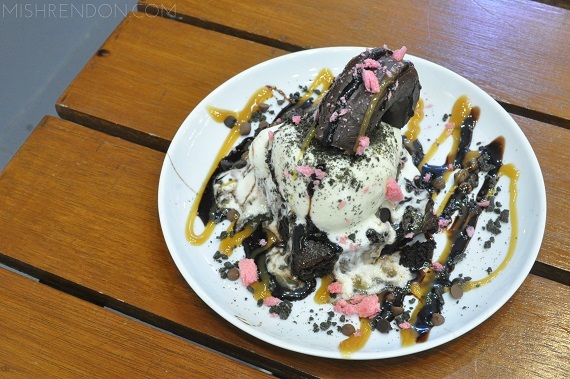 If you are looking for other dessert options, their Crafty Brownie Ala Mode is a fun treat. You may choose the ice cream flavor, toppings, and syrup that goes with your brownie. We had vanilla ice cream, strawberry roll, oreo bits, choco sprinkles, chocolate syrup, and caramel syrup on top of our brownie. Otherwise, you may also try their Crafty Brittle Wrap.